Should be a no-brainer. But apparently, no brains required for brainwashing. 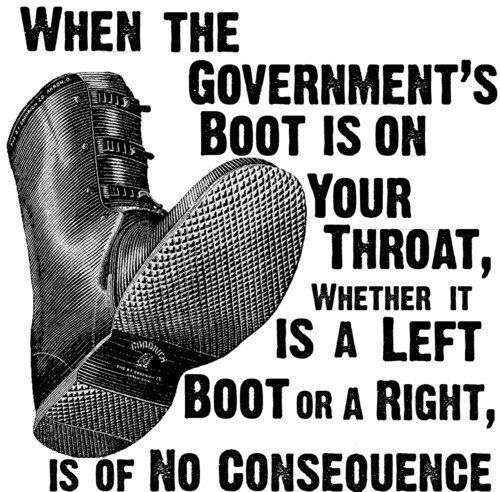 In all fairness, however, the truth is that the boot really belongs to the men who corrupt our government – the king pins behind the global mafias, more commonly known as multi-national corporations.